Boost your cardio power! With the right supplementation, you may be able to increase energy, endurance, and fat loss! Most people hit the pavement or the treadmill with the goal of losing weight. But, when done correctly, cardio not only burns fat, it offers a bonfire of additional benefits. It can increase your metabolism, improve your overall fitness level, increase blood circulation, strengthen your heart and lungs, and much more. Cardio, it turns out, is an all-around good time! Those perfect cardio sessions -- the ones where you feel energized, excited and efficient -- are difficult to come by. In other words, you won't always feel Tony-the-Tiger "Grrrrreat!" midway through a tough run, bike, or climb. With training and smart supplementation, however, you can expect to feel better and see greater results! No matter why you're getting up at 5 a.m. for that date with the stairmill, there's a supplement that can help you achieve your goal. For some, fat burning tops the list. For others, endurance, mental toughness, or increased energy might be why they sprint headlong into the sunset. Getting the supplements that support your goals can help you run that last mile, feel stronger during your HIIT sessions, or focus up for a big game. Skeletal muscle relies mainly on carbohydrates and fat oxidation to meet energy needs during exercise. Numerous scientific studies have shown that increasing the intensity of exercise leads to a faster utilization of carbohydrates. As carbohydrates are used, glycogen (stored energy) is depleted. Glycogen depletion means that you can't maintain breakneck speed and intensity for too long. Traditionally, athletes have tried to slow down the depletion of glycogen by consuming large amounts of carbohydrates before and/or during strenuous exercise. So, the trick is to take supplements that increase fatty acid metabolism during your cardio workout! Yep, that morning stop for coffee can actually help you lose weight! 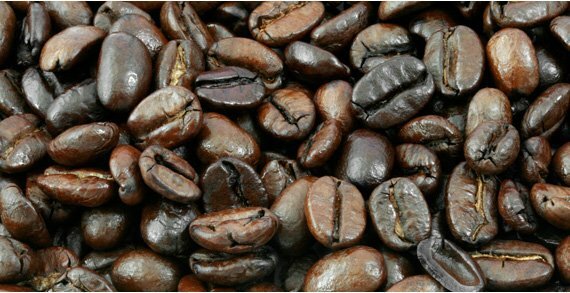 Caffeine is a naturally occurring chemical stimulant called trimethylxanthine (try saying that three times fast). In humans, caffeine acts as a central nervous system stimulant that temporarily wards off drowsiness and restores alertness. It is the world's most widely consumed psychoactive ingredient. Raspberry farmers of the world were probably jumping for joy when Dr. Oz promoted this natural ingredient on one of his recent shows. Raspberry ketones are the compounds primarily responsible for the berry's aroma. Raspberries are small, but may be the most powerful food on Earth. 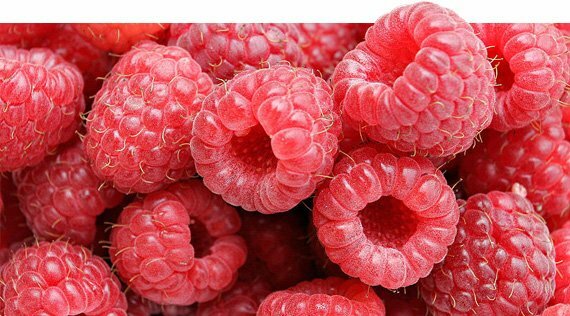 Research suggests that raspberry ketones appear to have the potential to support body fat reduction by increasing norepinephrine-induced lipolysis (aka: stored fat release). In other words, raspberry ketones may increase your body's ability to release stored fat for energy usage. L-Carnitine is a naturally occurring amino acid that plays a vital role in the metabolism of fat. It functions as a transporter of fatty acids into the mitochondria, the metabolic furnace of the cell. It has been established that an adequate supply of L-Carnitine is necessary for the maintenance of good health and energy. L-Carnitine transports long-chain fatty acids across the mitochondrial membrane to be metabolized. The "L" of L-Carnitine should stand for "legendary." Brassica campestris -- or turnip, for us non-scientist folk -- is a cruciferous vegetable that has been suggested to possess weight-loss promoting effects. Researchers at the Korea Research Institute of Bioscience and Biotechnology Sojin (2010) showed that animals fed a high-fat diet supplemented with a Brassica campestris extract had reduced weight and a decreased amount of adipose tissue. Ancient Greeks and Romans cultivated turnips, and they weren't dumb! A non-essential, sulfur-containing amino acid, L-Taurine plays a role in several metabolic processes like heart contraction and antioxidant activity. It is necessary for both cardiovascular function and development and skeletal muscle function. In an exercise study conducted with eleven men ages 18-20, it was found that supplementation with L-Taurine significantly increases VO2 max, exercise time to exhaustion, and maximal workload. The results suggest that L-Taurine may protect against exercise-induced DNA damage and enhance the capacity of exercise due to its cellular protective properties. Additionally, in a recent study, it was suggested that L-Taurine has pro-lipolytic (fat-burning) properties on fat cells. Evodiamine is an extract from the Tetradium family of plants. Research has suggested that evodiamine acts primarily as a thermogenic, similar to capsaicin. Additional research suggests that evodiamine strongly inhibits adipocyte differentiation, or fat cell replication.14,15 Turn up the heat! Research suggests a synergistic effect when choline, caffeine, and carnitine are combined. Your body's ability to endure cardio sessions depends on the efficiency of the heart, respiratory and circulatory systems. Cardiovascular endurance is responsible for increasing blood and oxygen to your working muscles. The better trained you are, the more oxygen your body can consume. A continual supply of oxygenated blood to your muscles allows for greater muscular endurance. If your muscles are incapable of performing cardiovascular training for an extended period of time, you won't be able to stress your heart. To train your endurance, you must stress your muscles and your cardiovascular system. One cannot be strong without the other. To help promote muscular endurance, one should look for supplements that may increase your muscle's ability to contract for extended periods of time. 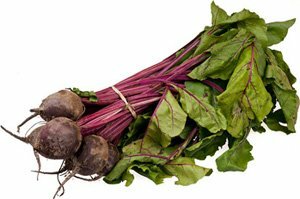 Red beet root is naturally high in nitrates (NO3), which are believed to improve athletic performance. A study led by the University of Exeter, published in 2009 in the Journal of Applied Physiology, concluded that nitrates may boost a cyclist's endurance. Nitrates are helpful to athletes because they quickly bring oxygen to muscles, essentially making difficult efforts easier. Additionally, Bailey et al. (2009) found that beet root supplementation can reduce the O2 cost of exercise, suggesting that beet root supplementation allows for high-intensity exercise to be tolerated for an extended period of time.18 Four minute mile, anyone? Anyone? Beta-alanine is an amino acid that promotes muscular energy. A study published in a 2010 issue of Medicine and Science in Sports and Exercise concluded that supplementation with beta-alanine increases muscle's carnosine content and, therefore, total muscle buffer capacity. Electrolytes are needed to maintain proper fluid balance and to optimize energy levels so you can function at your best. Electrolytes are important because they are what your cells (especially nerve, heart, and muscle cells) use to maintain voltages across their membranes and to carry electrical impulses to other cells. Your kidneys work to keep the electrolyte concentrations in your blood constant despite changes in your body. The body adapts to what you feed it. Quality tools make its job easy. When you exercise heavily, you lose electrolytes in your sweat, particularly sodium and potassium. These electrolytes must be replaced to keep the electrolyte concentrations of your body fluids constant. The mind-muscle connection is paramount in your ability to perform well, no matter what physical activity you're doing. Without a brain that is ready, willing and capable of helping your body do what you tell it to, you won't have the success that you're looking for. Your brain needs a number of hormones, vitamins, chemicals and fuel to function properly. Without them, your brain won't work at its optimal level and you will have a difficult time improving your cardio performance. Choline bitartrate is a water-soluble B vitamin that is a precursor to acetylcholine, one of the crucial brain chemicals. Acetylcholine is a neurotransmitter used throughout the body; it controls muscle contraction and determines your brain speed. Thiamine disulfide is a modified version of the vitamin thiamine that works selectively on the brain. Thiamine is known to play a key role in normal nervous system function. L-Tyrosine is a precursor to dopamine, also known as the "feel-good hormone." A recent human study showed that acute tyrosine supplementation is associated with increased endurance capacity for moderately trained subjects exercising in hotter climate. If you're on a restricted calorie diet and are doing a fair amount of cardio training, chances are you may be losing some lean muscle mass. 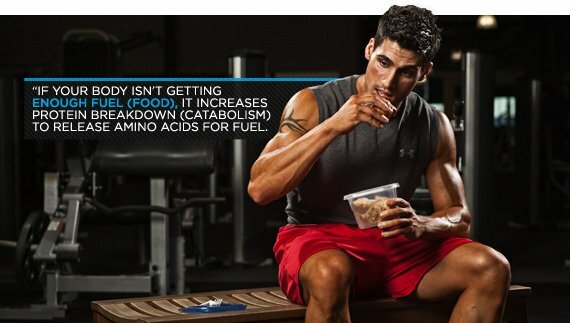 If your body isn't getting enough fuel (food), it increases protein breakdown (catabolism) to release amino acids for fuel. Hard dieting may also decrease the amount of protein synthesis that happens in your body. Luckily, there are supplements that can help protect your lean muscle while burning off that extra flab. A pentacyclic triterpenic acid with many body-reshaping attributes, ursolic acid is a very exciting ingredient that has the potential to make a serious impact on the weight management and sports nutrition industry. Preliminary studies have had some astonishing results. One study at the University of Iowa published in Cell Metabolism suggested that ursolic acid reduced muscle atrophy and stimulated muscle hypertrophy. It accomplished this by enhancing skeletal muscle insulin/IGF-I signaling and inhibiting atrophy-associated skeletal muscle mRNA expression. Ursolic acid also has protein synthesis stimulating properties. An animal study found that ursolic acid may prevent abdominal fat accumulation. It was also suggested that this was accomplished through the stimulation of lipolysis and the inhibition of digestive enzyme lipase. "Utilization of Lipids during Exercise in Human Subjects: Metabolic and Dietary Constraints." British Journal of Nutrition, 79 (1998): 117-128. Glaister, M., et. al. "Caffeine Supplementation and Multiple Sprint Running Performance." Med Sci Sports Exerc. 40.10 (2008): 1835-40. Mohr, M., et. al. "Caffeine Intake Improves Intense Intermittent Exercise Performance and Reduces Muscle Interstitial Potassium Accumulation." J Appl Physiol, 111.5 (2011): 1372-9. Epub 2011 Aug 11. Fisone, G., et. al. "Caffeine as a Psychomotor Stimulant: Mechanism of Action." Cell Mol Life Sci, 61.7-8 (2004): 857-72. Ryu, S., et. al. "Caffeine as a Lipolytic Food Component Increases Endurance Performance in Rats and Athletes." J Nutr Sci Vitaminol (Tokyo), 47.2 (2001): 139-46. Morimoto, C. et. al. "Anti-obese Action of Raspberry Ketone." Life Sci. 77.2 (2005): 194-204. Epub 2005 Feb 25. Lansley, K.E., et al. "Acute Dietary Nitrate Supplementation Improves Cycling Time Trial Performance." Med Sci Sports Exerc, 43.6 (2011): 1125-31. Steiber, A., et. al. "Carnitine: A Nutritional, Biosynthetic, and Functional Perspective." Mol Aspects Med, 25.5-6 (2004): 455-73. Muller, D.M., et. al. "Effects of Oral L-carnitine Supplementation on in vivo Long-chain Fatty Acid Oxidation in Healthy Adults." Metabolism, 51.11 (2002): 1389-91. Sojin An, Jang-Il Han, et. al., "Ethanolic Extracts of Brassica campestris spp. rapa Roots Prevent High-Fat Diet-Induced Obesity via β3-Adrenergic Regulation of White Adipocyte Lipolytic Activity." Journal of Medicinal Food 13.2 (2010): 406-414. doi:10.1089/jmf.2009.1295. "A Selective Human Beta3 Adrenergic Receptor Agonist Increases Metabolic Rate in Rhesus Monkeys." J Clin Invest, 101.11 (1998) :2387-2393. doi:10.1172/JCI2496. Zhang, M. et. al. "Role of Taurine Supplementation to Prevent Exercise-induced Oxidative Stress in Healthy Young Men." Amino Acids, 26.2 (2004): 203-7. Epub 2003 May 9. "Capsaicin-like Anti-obese Activities of Evodiamine from Fruits of Evodia rutaecarpa, a Vanilloid Receptor Agonist." Planta Med, 67.7: 628-33. "Evodiamine Improves Diet-induced Obesity in an Uncoupling Protein-1-independent Manner: Involvement of Antiadipogenic Mechanism and Extracellularly Regulated Kinase/mitogen-activated Protein Kinase Signaling." Endocrinology, 149.1 (2008): 358-66. Epub 2007 Sep 20. "Caffeine, Carnitine and Choline Supplementation of Rats Decreases Body Fat and Serum Leptin Concentration as Does Exercise." J. Nutr, 130.2 (2000): 152-157. "Increases in VO2max and Metabolic Markers of Fat Oxidation by Caffeine, Carnitine, and Choline Supplementation in Rats." J Nutr Biochem, 11.10 (2000): 521-6. Park, Kyoung Sik. "Raspberry Ketone Increases Both Lipolysis and Fatty Acid Oxidation in 3T3-L1 Adipocytes." Planta Med 76 (2010): 1654-1658. "Dietary Nitrate Supplementation Reduces the O2 Cost of Low-intensity Exercise and Enhances Tolerance to High-intensity Exercise in Humans." J Appl Physiol, 107 (2009): 1144-1155. Artioli, G.G., et. al. "Role of Beta-alanine Supplementation on Muscle Carnosine and Exercise Performance." Med Sci Sports Exerc. 42.6 (2010): 1162-73. Shirreffs, S.M., et. al. "Fluid and Electrolyte Needs for Training, Competition, and Recovery." J Sports Sci, 29 Suppl 1 (2011): S39-46. Sandage, B.W., Sabounjian, L.A., Wuronene, R.I. "Effects of Choline on Athletic Performance and Fatigue." Abstract from National Institutes of Health Workshop on The Role of Dietary Supplements for Physically Active People. June 3-4, 1996, Bethesda, MD. Benton, D., et. al. "Thiamine Supplementation Mood and Cognitive Functioning." Psychopharmacology (Berl). 129.1 (1997): 66-71. Tumilty, L., et. al. "Oral Tyrosine Supplementation Improves Exercise Capacity in the Heat." Eur J Appl Physiol, 111.12 (2011): 2941-50. Epub 2011 Mar 25. University of Maryland Medical Center. L-tyrosine and thyroid. Kunkel, S.D., et al. "mRNA Expression Signatures of Human Skeletal Muscle Atrophy Identify a Natural Compound that Increases Muscle Mass." Cell Metabolism, 13 (2011): 627-38. "Ursolic Acid, a Pentacyclic Triterpene from Sambucus australis, Prevents Abdominal Adiposity in Mice Fed a High-fat Diet." J Med Food. 14.11 (2011): 1375-82. Epub 2011 May 25.